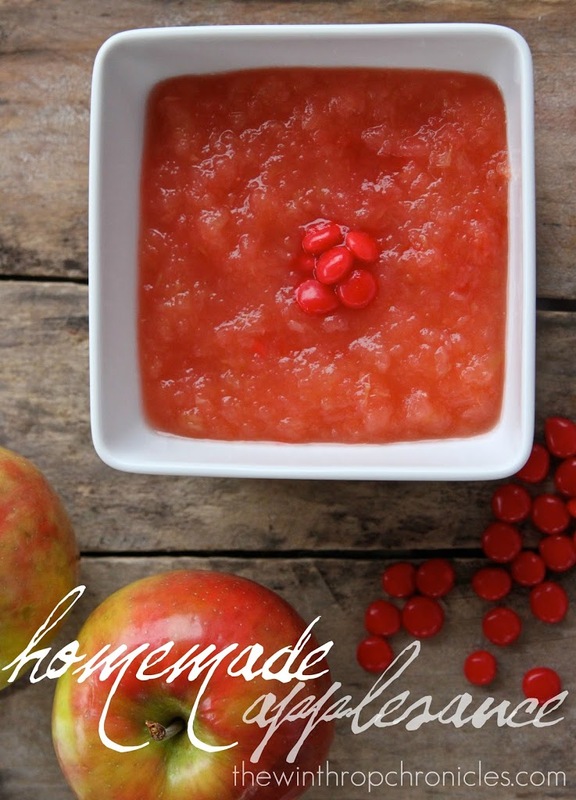 One of my favorite things to do in the fall is to make applesauce. This year I used Honeycrisp apples. I quartered the apples, then boiled them in a pot of water until they were soft, then used a food mill to mash them. I always add redhots to give it a cinnamon flavor. Just start by stirring in about a tablespoon of red hots and then add more to taste. And your house will smell divine for the rest of the day.